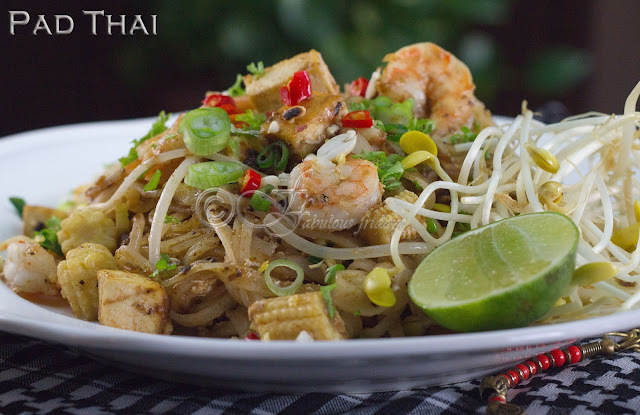 Pad Thai is a universal fave among Thai food lovers and a popular midday snack in Thailand. It has become a signature dish at Thai restaurant around the world and varies enormously. 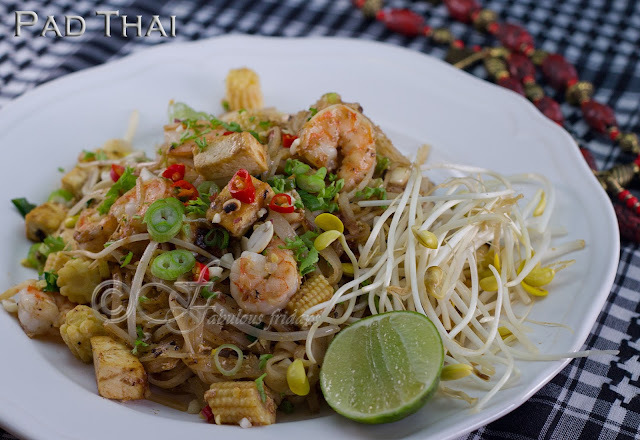 I love Pad Thai because it is a one dish meal and is a blend of interesting flavors all in one. The trick to making a good pad Thai is to not overcook the rice noodles and making the dish in batches to serve maybe 1 or 2 at a time. Overcrowding the wok with all the ingredients leads to a mushy and oily lump of noodles. Also prep all the ingredients and keep ready before heating the wok, this way you will never overcook the noodles. This recipe serves four, just cook each portion separately. Start by making the pad Thai sauce. Mix all ingredients at medium heat until well blended. 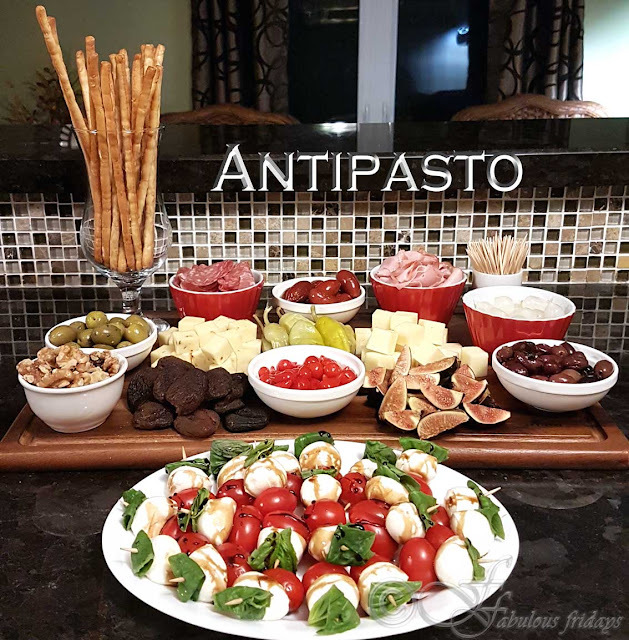 Keep aside while you prep the other ingredients. Soak the rice noodles in hot water until al dente - OK to eat with a bite in it. Remember they will cook some more in the wok later. Drain and add a tsp oil so they won't stick together and keep aside. Heat wok to smoking point and add oil. Add garlic and tofu and cook for a minute till tofu is crisp and slightly brown at the edges. Now add the noodles along with 1/3 cup of pad Thai sauce. Stir vigorously while breaking the noodles so they don't lump together. Cook until noodles are a bit soft. Push the noodles to one side and crack an egg in the center. Scramble and mix with the noodles. Push the noodles to one side again and add shrimps, green onions, water chestnuts, baby corn, peanuts and bean sprouts. Toss these till shrimp are cooked thru about a minute or two. Turn off the heat and give the wok a good stir to mix everything up. Serve hot with a sprinkling of lime juice and garnished with peanuts, coriander and green onion.